Diamond Swirl Engagement Ring in 14k Yellow Gold | Shane Co.
A swirl of pavé-set diamonds swirls and twirls around this enchanting 11.5mm wide engagement ring. Forty-four brilliant round diamonds, with a total approximate gem weight of .63 carat, accent this 14 karat yellow gold setting. 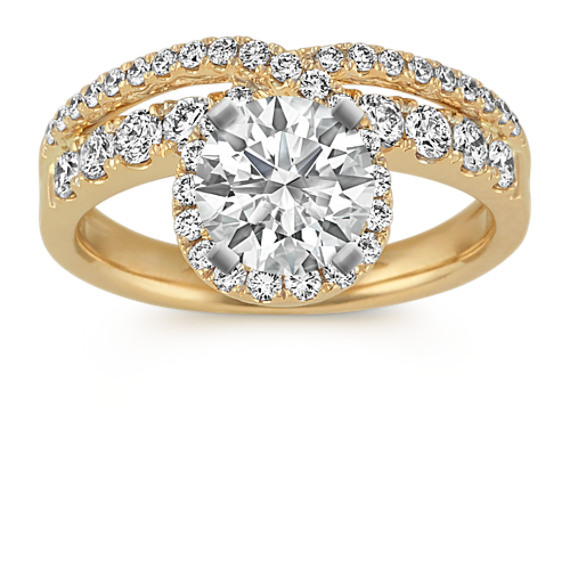 The dazzling diamonds will highlight the center gemstone of your choice beautifully. Gemstone Carat Weight :.63 ct. t.w. Easily and securely pay with Apple or Google's payment services.